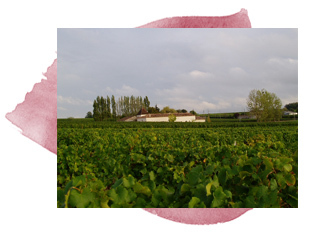 At Château La Tour de Chollet, we are passionate about making good wines. As well as being grown organically, the grapes are turned into wine under organic certification from ECOCERT, which severely restricts the products permitted for use. Basically, it encourages what we believe in – winemaking with minimal intervention and no artificial additives. Furthermore, anything we do use is natural and vegetarian / vegan friendly. Sulphur – called ‘sulfites’ on wine labels – is an important antioxidant in wine which attracts controversy due to perceived side effects in people sensitive to it. We do use it, but in much lower quantities than non-organic wine, typically about half the amount. It is very difficult to completely eliminate its use and keep a wine healthy, but by reducing the use bit by bit, we head in that direction whilst preserving the drinkability of the wine. Almost no other products are used in making our wine, save some natural yeast to encourage a smooth fermentation and vegetable or clay-based fining agents to make sure a wine is clear enough to bottle without forcing it through too many filters. Have a look at the tabs above for each of the wines to find out how they are made, and you will find full tasting notes of our current range of wines in the shop. Our Oenologue (wine expert) is Florent Niautou, who trained at the renowned University of Bordeaux, manages a large wine laboratory, is an organic winemaker, and has worked around the world to get the benefit of new world as well as traditional Bordeaux winemaking techniques. Florent advises us on all aspects of making the wine from harvest through to bottling. His work starts by helping us to decide when the optimum time to harvest which is itself quite technical, using a combination experience and laboratory tests to decide the optimum time to pick. As we are a small property compared to many, we often wait until the very last moment, picking just before the weather changes or insects start to damage the grapes, to maximise ripeness. He then advises us throughout the critical stages of the wine making process, so we can set important parameters like temperature, duration of the fermentations, and what interventions are required and when. 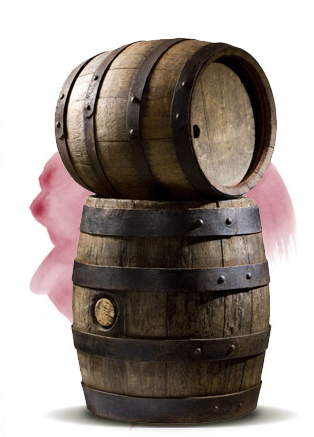 Once the wine is made, there is a period of settling, then blending and maturation. Florent is available to advise, taste, and support throughout this period until the wine is bottled. The Sainte Foy Bordeaux Appellation is a small, quality-minded appellation in the east of the Bordeaux wine making area. The rules that govern quality are more strict than the main appellations of Bordeaux and Bordeaux Superior. There are proportionally many more organic wine growers in this appellation than most others in the Bordeaux wine growing region.